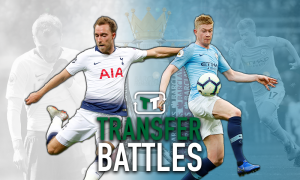 Opinion: It's time Man City brought World Cup winner to England to upgrade on Raheem Sterling | The Transfer Tavern | News, breakdown and analysis on all things football! Manchester City made an excellent start to their Premier League title defence. The Citizens were handed a tough opening game of the new campaign against Unai Emery’s new-look Arsenal side. The Gunners were no match for the Citizens as Pep Guardiola’s side continued their terrific form from last year. Raheem Sterling opened the scoring before Bernardo Silva volleyed home Benjamin Mendy’s cross to secure the victory. Sterling making a goalscoring start will be great to watch for City fans after he enjoyed his best season to date in the previous campaign. The 23-year-old netted 18 goals and notched 11 assists as City strolled to the title. However, the club are yet to tie down the superstar to a new long-term contract. The two sides are reportedly far apart on wage demands fuelling speculation that the winger could leave the club in the near future. Should Sterling leave, Manchester City should target Barcelona superstar – Ousmane Dembele. Valued at £72m by Transfermarkt, the Frenchman has found life difficult in La Liga since joining from Borussia Dortmund last summer for £103m after Neymar left for Paris St Germain. The winger was signed as a replacement for the Brazilian but struggled with injuries. Nevertheless, Dembele netted scored three and notched six assists in just 12 league starts. 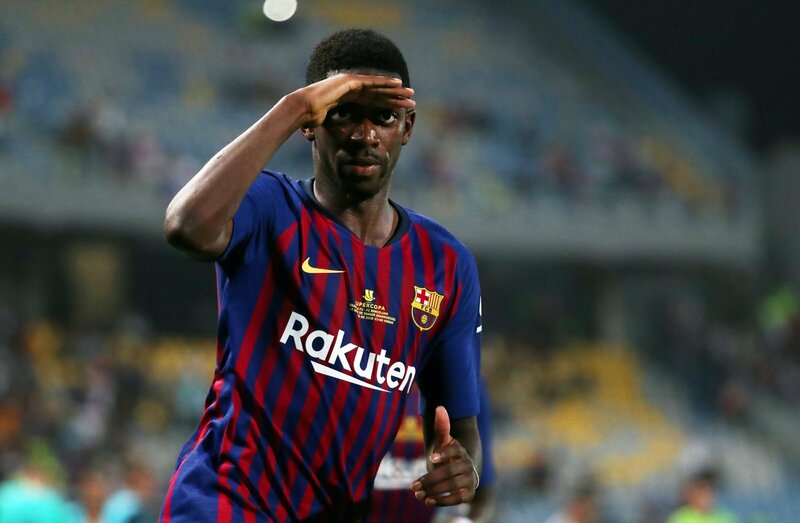 Barcelona added Malcom to their squad this summer, suggesting they could allow Dembele to leave. Reports indicate the Spanish champions want just £72m for the 21-year-old. The forward is a ready-made replacement for Sterling. Dembele is blessed with blistering pace and expert dribbling ability which makes him a nightmare for defenders. The former Rennes man doesn’t have a weak foot making him extremely dangerous due to his unpredictability. Sterling’s departure would be a huge loss, but Dembele would be an excellent alternative.